The Mi Max 3 is probably one of the most-exciting upcoming mid-range smartphones expected to come from Chinese company Xiaomi. The massive phablet was recently spotted at TENAA, the Chinese regulatory agency, a clear evidence that the Mi Max 3 will soon be made official. If you happen to be one of the people anxiously waiting for Xiaomi to reveal the Mi Max 3, we have two live pictures showing the back panel of the Android smartphone. As expected, Xiaomi's upcoming smartphone device is going to include a dual-camera configuration on the back. 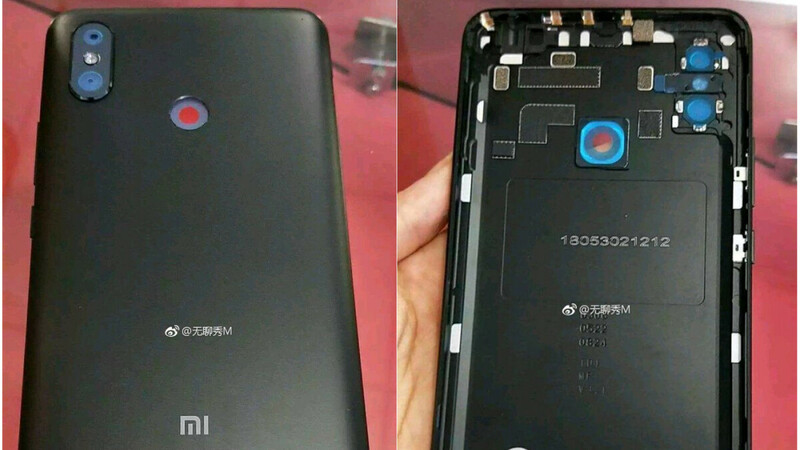 Also, we can see that on the same rear side Xiaomi will include a fingerprint sensor. Since the phone is supposed to be powered by a huge 5,400 mAh battery, the back panel seems pretty large, which isn't that unusual for a Mi Max series phablet. According to a previous report, the Mi Max 3 is said to pack a mid-range Snapdragon 636 chipset, while the Pro model might include a Snapdragon 710 processor. We expect the phablet to be unveiled this month, though Xiaomi hasn't yet confirmed any launch events yet.